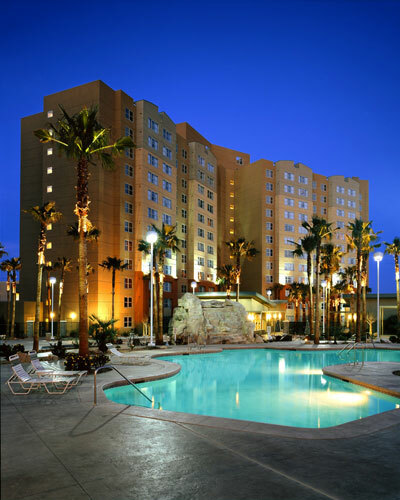 The Grandview at Las Vegas sits on the southern end of South Las Vegas Boulevard, giving visitors convenient access to all the wondrous sights of this desert paradise. The resort's free shuttle service between downtown and the Strip enables guests to move within the city without renting a car. Vegas allows visitors to gamble at one of the many casinos, or take a few swings at one of the nearby golf courses. For guests that do venture further, however, the Hoover Dam, Red Rock Canyon, Valley of Fire, and Death Valley are great for day trips. 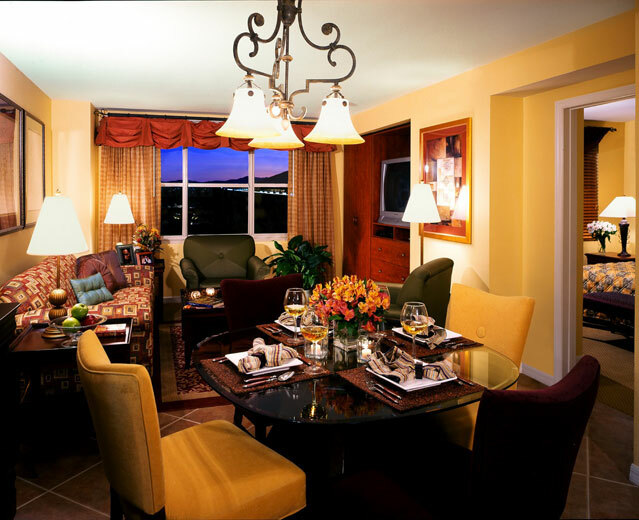 At the end of the day, guests can relax at Grandview's swimming pool or in their spacious luxury suites with Jacuzzi tubs.